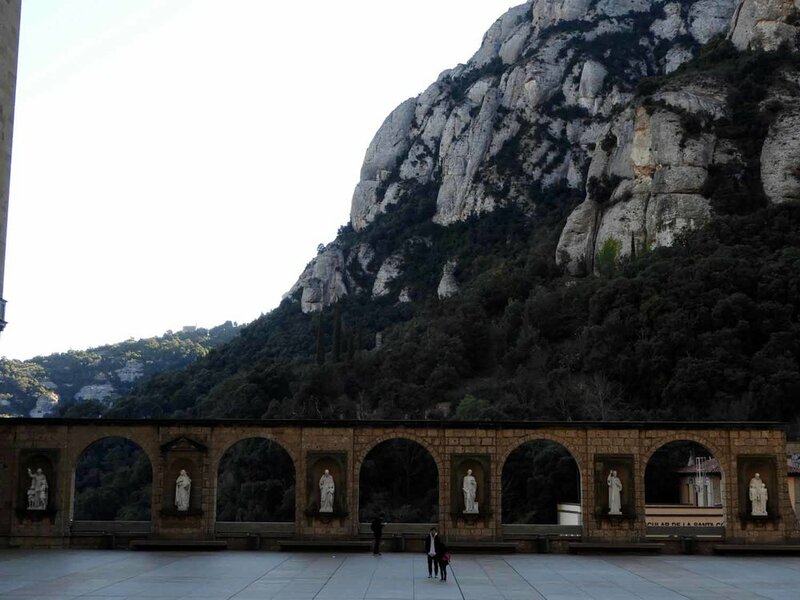 High up in the clouds among the rocky edges of Montserrat ("serrated mountain") stands the Santa Maria de Montserrat Abbey - and boy is it a beaut. This is probably one of my top places I’ve ever been of all time - not necessarily for the abbey itself (though it is impressive), but because of the abbey’s surreal setting. I once heard someone say “the most important place you can be is present”. Here, I truly felt that. I wasn’t preoccupied with anything other than soaking in the bit of heaven that surrounded me. We reached the Monastery via the Aeri de Montserrat Cable Car - which we recommend to anyone else going. The bright yellow, polygonal-shaped car offered great views of the region beyond as we made our journey up. A round trip fare cost 11 eur. Though we had few expectations for Montserrat, it ended up being one of the highlights of our trip. From the Monastery's plaza, we loved juxtaposition of the open arched columns framing the landscape beyond. The Basilica of the Monastery was also interesting because of it's unique location within an intimate courtyard. 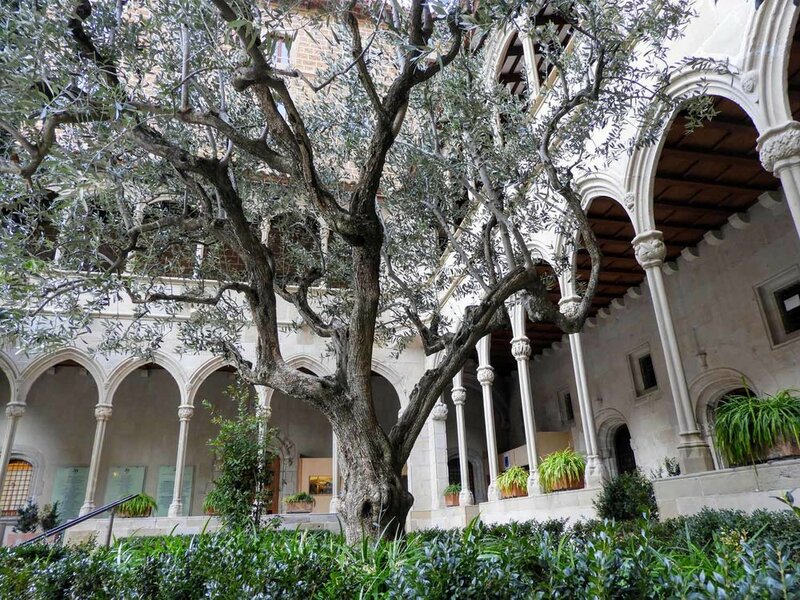 While up there, we also visited the Montserrat Museum which had an interesting collection ranging from Egyptian art to Impressionist paintings to Orthodox icons - we highly recommend it. If we’d had more time, I would have liked to hike to the summit of the peak rising above the Monastery, but due to a tight time-frame, we opted to end our visit with a relaxed walk to “The Degotalls”. The trail was easy, shaded, dedicated to various artists and offered with panoramic views of Catalonia below... It took about an 45 minutes to complete. Our entire visit lasted 4-5 hours. 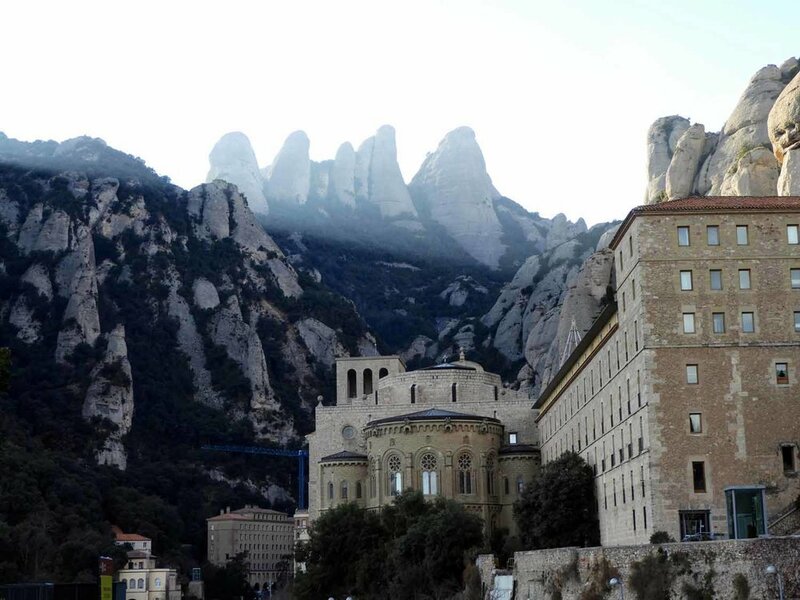 The base town of Montserrat is just a little over an hour outside of Barcelona. We stopped on our way from Andorra to Barcelona. If you don't have a rental car, no worries. There are frequent trains running from Barcelona. Beyond cable car, the Monastery can be reached by road or train. Parking near the monastery is limited (and requires a fee). For those who arrive in Montserrat from Barcelona via public transit, the two train stations are directly adjacent to one another, whereas the cable car station is down the road. Parking at the cable car station is free. Once at the monastery, be sure to stop in the Monterrat Tourism Office to pick up your free map (most valuable for hiking info)!